It's time to build up Your Resume! It’s never too early to start adding new skills to your resume and at the Girl Scouts; you have the opportunity to discover something new all the time! Are you ready to take the next step in your leadership journey? Apply today to become the next Girl Ambassador to the Board. 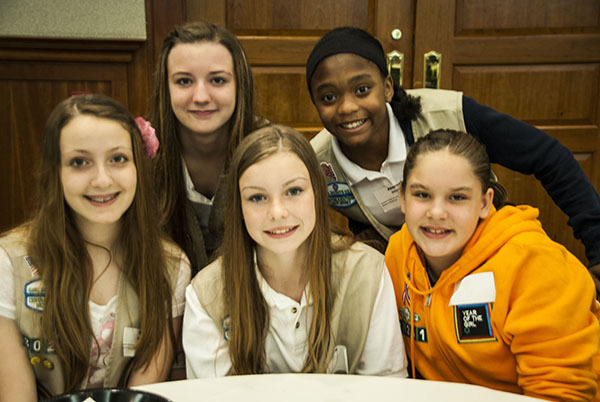 As a Girl Ambassador you will meet monthly with the GSCSNJ Board, represent our girl membership and learn the workings of a nonprofit. Applications are due August 1. Practical life skills that you will learn at our workshops can help you earn some extra cash, assist you in future volunteer roles and give you the opportunity to discover something new! You can attend the following activities and have your troop leader, mom, dad, guardian, friend come with you! Make sure that in the back of your mind, you know what you're going to do for your Girl Scout Gold Award! The Gold Award is the highest award in Girl Scouting. Make sure to list your Girl Scout Gold Award on your resume. Future employers may ask about your project and will be impressed by your willingness to serve your community. By earning this award, there are several opportunities to earn college scholarships. Need ideas? See what kind of projects girls have done. Let's get started! There's no limit to what you can do!